The Edo State Governor, Mr. Godwin Obaseki, has said that Edo indigenes migrating to other parts of the world stand a better chance at life if they are equipped with on-demand skills to make them globally competitive. 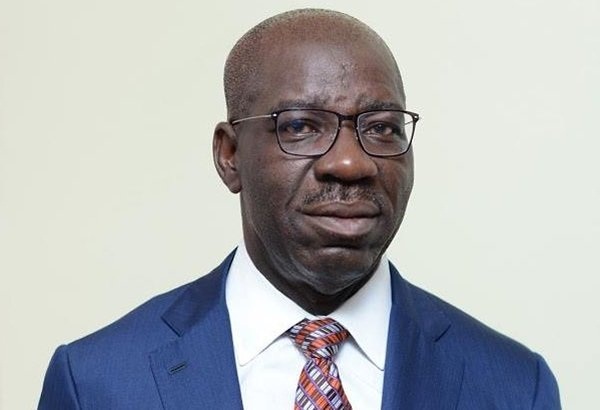 Governor Obaseki, who said this during a town hall meeting with indigenes of Edo under the aegis of Great Benin Origins (GBO) Worldwide, in Brussels, Belgium, noted that the state government is already working out modalities for Edo youth to develop these skills in the state. He kicked against the activities of human traffickers, who have given the state a bad name, noting that the state government is firming arrangements with local and international partners to train youth in Information and Communication Technology (ICT) skills as well as Technical and Vocational Education and Training (TVET), so that they can be globally competitive. “Instead of all these people coming in to take money from these children, you can come, we will register you, we will train you, we will certify you and give you visas to go and work abroad. That is how it is done in other countries. “Our people are very important, and I am calling on you to join me in laying the foundation for the future,” he said. He lauded the group for working assiduously in sustaining the Benin identity, calling for a united front in the quest to develop the state. According to him, “Let us not make ourselves sub-minorities. Let us show unity and strength in numbers. So, we must make sure we come together, and reach out to others as Edo people. President, Great Benin Origins (GBO) Worldwide, Engr. Isaac Igbinosun, lauded the governor for his leadership style, commitment to attracting investment to the state and initiatives on youth development. “We are proud of you, we are proud of your achievement since you took over the leadership of governing our state, Edo. We feel safe each time we look at what you are doing. We are solidly behind you and anytime we are called upon, we will be there to contribute our quota back home. It is always said that no matter where you go, home is home. We are very proud of you, we encourage you to continue,” Igbinosun said. The Great Benin Origin (GBO) is a social cultural organization that seeks to bring all Edo indigenes in diaspora under one umbrella with the purpose of restoring the lost glory of the great Benin Kingdom, promoting the Edo culture and tradition and assisting the economic development of the state. Igbinosun noted that some of the programmes of the group in promoting the preservation of Edo cultures include sponsorship of Edo culture and language competitions, award of scholarships to primary and secondary schools’ students as well as organizing a diaspora state workers’ programme for the youth. He urged the state government to continue with the reforms on the ease of doing business, as members of the group are interested in investing in various aspects of the state’s economy with focus on agriculture and food security. The group also applauded the governor on his initiatives to improve the security architecture and guarantees on the sanctity of contracts, noting that these would endear the state to investors.